When you get a non-invasive procedure done at La Beauté Medical Aesthetics, rest assured that you will not only be taken care of while you are at our medical spa, but also throughout your recovery and healing process. To ensure you get the best results, we proudly carry high-end, luxury skin care lines to complement our top-rated, non-invasive services. Here are a few of the skin care lines we carry and how they can benefit you after your treatment. In 2016, skinbetter science® set out to create a new paradigm in skincare, not only for patients, but for the physicians, nurses, aestheticians and surgeons who help patients achieve beautiful skin. The award-winning products are backed by decades of rigorous clinical research (in powerhouse products like Restylane® and Dysport®) and furthered by a continued commitment to the study of skincare science. 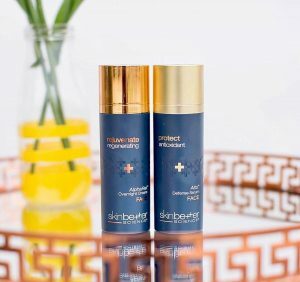 To Skinbetter Science, accomplished science represents the deep knowledge and rigorous study of skin and skincare chemistry. We believe remarkable results can be achieved simply, through purposeful product innovation, which is why we leverage advanced chemistry to help skincare products do more. 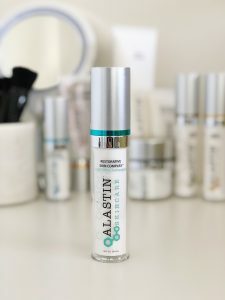 The Alastin skin care line was created to help prepare your skin for procedures and enhance the healing process afterwards to increase results. Alastin products are formulated with TriHex Technology® designed to aid in your skin’s regeneration process for more supple, smooth, and healthier looking skin. From refreshing cleaners to protective recovery balms, and body treatments, Alastin has a product that to protect your investment. All Alastin skin care products are cruelty-free, paraben-free, and gluten-free. If you are planning on receiving body contouring, botox, skin resurfacing, or another type of skin therapy, Alastin has specifically formulated skin care products to support your treatment and recovery process. You can find the Alastin skin care line featured in Cosmopolitan, Allure, and VOGUE magazines, as well as Oprah.com. 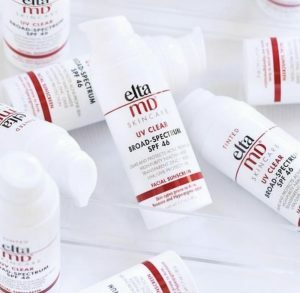 EltaMD is a trusted brand by physicians and medical professionals for their skin care line’s innovative, restorative, and protective products. From sun care products to skin care products designed for post-procedural relief, and daily skin care regimens, EltaMD is dedicated to providing rejuvenating and healing products for optimal skin health. Post-procedural skin care is essential. In fact, most complications arise due to improper care. EltaMD’s Aesthetic Procedure Skin Care line is specifically formulated with non-irritating, nourishing, protective ingredients to ensure optimal results after facial injections, microneedling, and skin resurfacing procedures. EltaMD is featured across multiple top media sites and magazines, such as ELLE, WebMD, Seventeen, VOGUE, and more. Get the most out of your treatment at La Beauté Medical Aesthetics by taking proper care of your skin both before and after your non-invasive procedure. By giving your skin the proper nutrients and care, you can enjoy long-lasting, healthy, youthful skin. Epionce is a high-end skin care company that manufactures all of their skin care products with unique, scientifically proven botanical ingredients. All of their products are paraben-, fragrance-, sulfate-, and gluten-free; and do not contain harsh ingredients that lead to irritation or dryness. 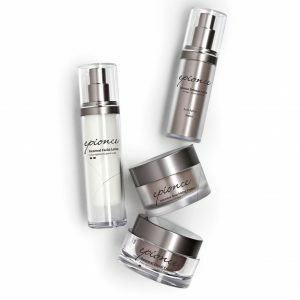 The Epionce product line is beneficial for anyone who gets Venus Versa™, Dermalinfusion, or other skin resurfacing treatments done at La Beauté Medical Aesthetics. Whether you hope to reduce acne, wrinkles, or another imperfection, Epionce skin care products will support your results for healthy looking skin. Epionce has been featured across the country in beauty magazines for its award-winning products. From purifying cleansers to barrier cream and lip renewal treatments, Epionce has you covered. The Lytic Gel Cleanser is one of the top-rated products as it cleanses and refreshes your skin without causing irritation or dryness — perfect for those with combination to oily skin. 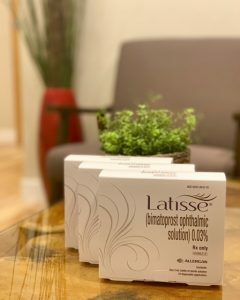 Latisse® is an FDA-approved treatment to help grow and strengthen eyelashes for people with inadequate or not enough lashes.